Stamford, Connecticut, U.S.A. - The Cardinal Kung Foundation, an advocate of the underground Roman Catholic Church in China, reports that at about midnight of August 30, 2000, the Chinese government arrested Rev. 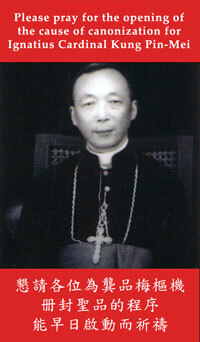 Father LIU Shao-Zhang, one seminarian, 20 nuns, and two laypersons. They all belong to the underground Roman Catholic Church in China and were arrested in Gongtou Village, Qibu Township, Luoyuan County, Fuzhou City in Fujian Province. 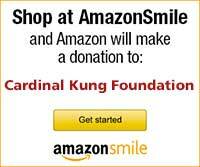 Father Liu was severely beaten, causing him to vomit blood and to severely bleed externally. He is 38 years of age and was ordained an underground priest six years ago in 1994. After one day, two of the nuns were released after a group of parishioners paid a large sum of money to the Public Security Bureau (PSB). These two nuns were specifically instructed not to leave their house without permission from the PSB. The remaining 22 persons are still detained. Their whereabouts are not known. No other details are available at this time. Archbishop Yang Shudao, underground archbishop of Fuzhou, who was arrested on February 10, 2000 and released shortly afterwards, is now under very heavy surveillance with several guards staying in his house 24 hours a day. He has absolutely no freedom of movement. We reported the arrest of Father Gao YiHua on August 19 in our press release dated August 28. He was released on August 29. Joseph Kung, the president of the Cardinal Kung Foundation, said: "The Patriotic Association bishops have often told the overseas benefactors that they are also loyal to the Pope and that many of them had been 'accepted' by the Vatican. If this fact were true, they must realize that the terrible religious persecution in China is causing much grief to the Pope. Shouldn't the Patriotic Association Bishops, as Christians, persuade their government by speaking out on the on-going persecution of the Roman Catholic Church and demanding a stop to this persecution immediately, because it is an evil act and also is a gross violation of human rights? I hereby challenge the Patriotic Association bishops to speak out against such injustice, but regret to observe that there is a continual silence from these Patriotic Association bishops. As I mentioned previously, the Chinese government is currently exerting efforts to force the members of the underground Church to register with the Chinese government, thereby forcing them to join the Patriotic Association. Because of the staunch resistance by the underground Church to register with the government, the government intensified its persecution of the underground Church by punishing it most severely. As a result, hundreds of underground bishops, priests, and catholic faithful are still in prison or labor camp. These twenty-two religious and two laypersons are apparently the latest victims." A copy of this release with Chinese names will be faxed to you upon request.